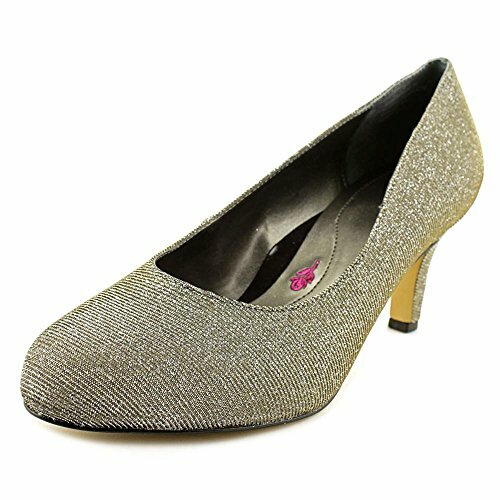 Ros Hommerson Kiki 75075 - Women's Comfort Dress Heels - The Kiki mary janes pump will help you flaunt your fancy footwork while staying comfortable! Whitney is a T-strap wedge sandal adorned with stones for a sophisticated look. 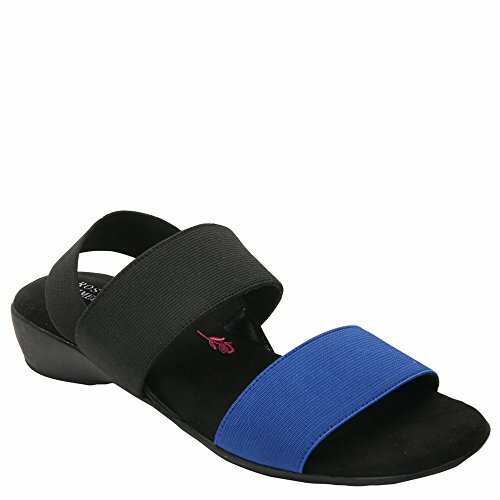 Slip on this microfiber sandal and allow the adjustable strap in the back hug your heel to ensure the perfect fit. Heel height 2''.Fit: True to size. Leather upper and rubber outsole. Imported. Material: Leather. The Ros Hommerson Ronnie 62029 -One step into this shoe and you'll feel like you're walking on clouds. Great-looking crackled leathers make Ros Hommersonï¿½ Ronnie slip ons the most requested one in the industry. These Ros Hommerson shoes define quality, comfort and style. 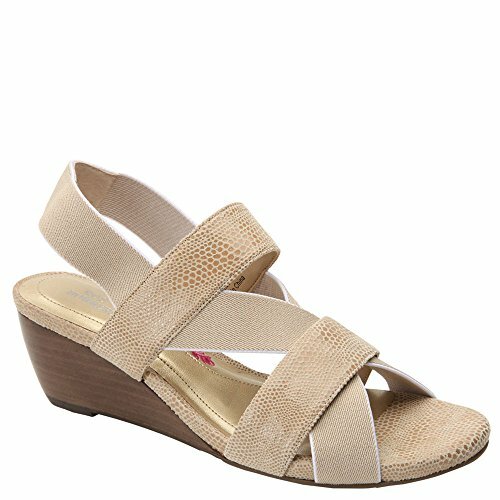 The Mariel sandal by Ros Hommerson is versatile enough to wear w/ skirts or shorts! 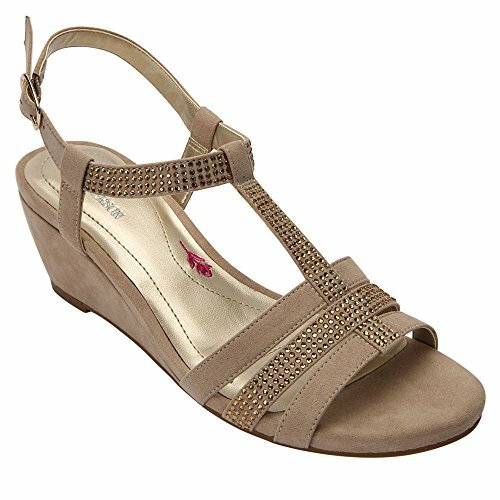 Mariel features a cushioned insole and an adjustable back strap for a personalized fit. Elegant rhinestone details adorn the vamp of the foot. 1'' heel. Material: Leather. 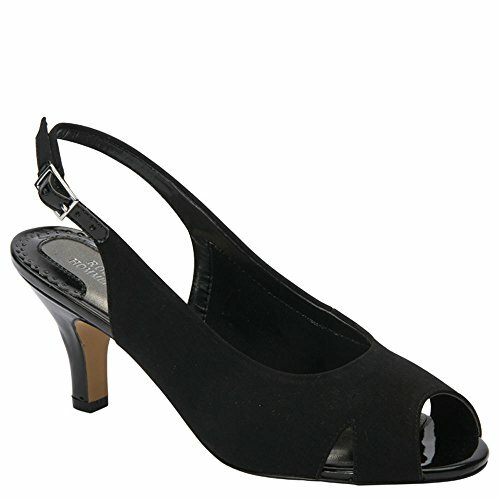 The Ros Hommerson Mellow 67012 - Virtual by Ros HommersonÂ offers stretch straps in this adjustable heel sling back. 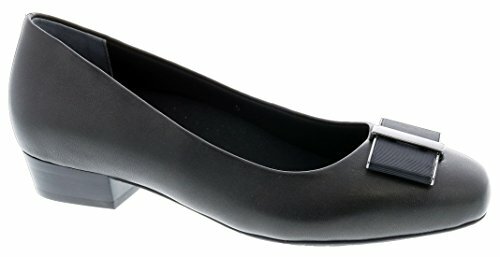 The Ros Hommerson Twilight 74032 Dress Shoe - A removable footbed is the focus of the Twilight by Ros Hommersonâ". Finished with a smart bow, this feminine shape and minimal design instill this pair with modern balance. The Ros Hommerson Chelsea mary jane is crafted with a supple leather upper, adjustable strap closure and beautiful cut-out detail. A Texon Insole eases every step, while full leather linings offer interior freshness. The Ros Hommerson Chelsea mary jane sits atop rubber sole for flexible durability. Step out in style in the Mabel by Ros Hommerson. The Mabel features an adjustable, wrap around closure. With a long lasting durable rubber outsole this sandal will carry you throughout your day. You don't have to choose between style and comfort with Ros Hommerson and the Mabel is a perfect example! 1'' heel. Material: Leather. 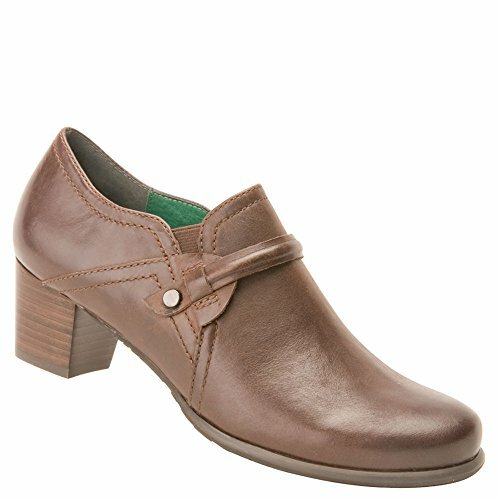 The Mellow by Ros Hommerson offers a perfect blend of style and comfort. The plush footbed and stretch straps wrap around your ankle with a long lasting durable rubber outsole. 1'' heel. Slip-on entry. Rubber outsole. Foam-cushioned footbed. Material: Leather. 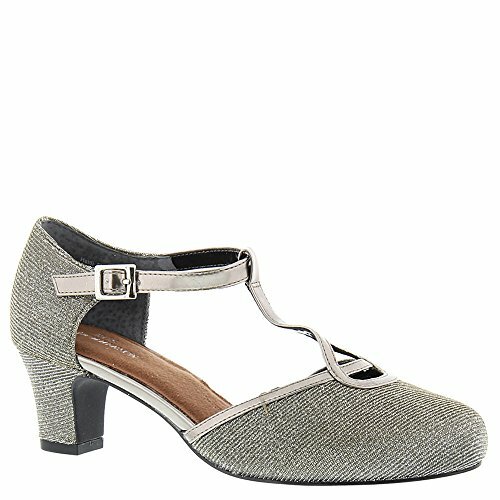 Heidi by Ros Hommerson is a timeless and sophosticated t-strap pump. Premium quality fabric and padding in the footbed will pamper and protect your feet. Heidi by Ros Hommerson is a must have to complete every woman's wardrobe. Adjustable strap with buckle closure. Drilex lining with total breathability. Quality leather outsole. 1.75" Heel Height. Elegance, Quality and Comfort are just a few words that are used to describe the Rebecca slip-on by Ros Hommerson. 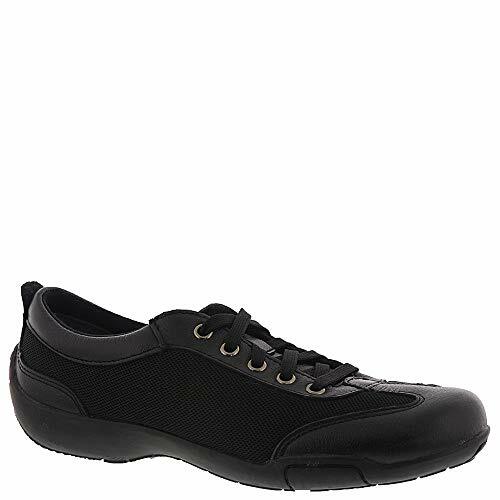 Soft tricot linings, smooth leather and cushioned footbeds make up this 'go-to' shoe. The Rebecca has been carefully created with its own distinct details including an elastic opening to ensure a comfortable fit. 1/2'' heel. Material: Leather. 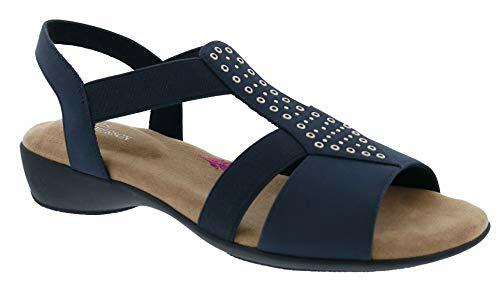 Ros Hommerson Miriam 67028 - These chic sandals feature stretchy straps highlighted by small grommets in this fashionable t-strap design and a generously padded footbed will pamper and protect your feet. 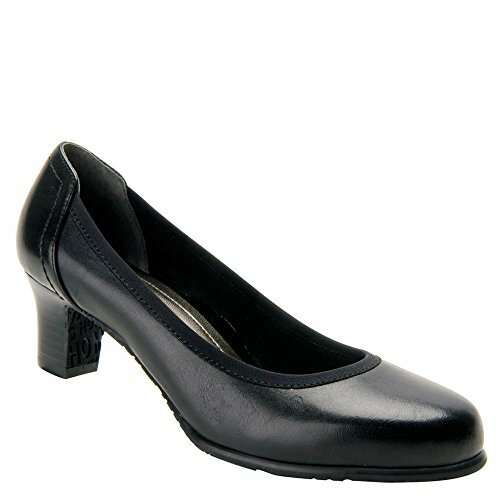 Embrace a look of professional confidence in the Ros Hommerson Janet pump. 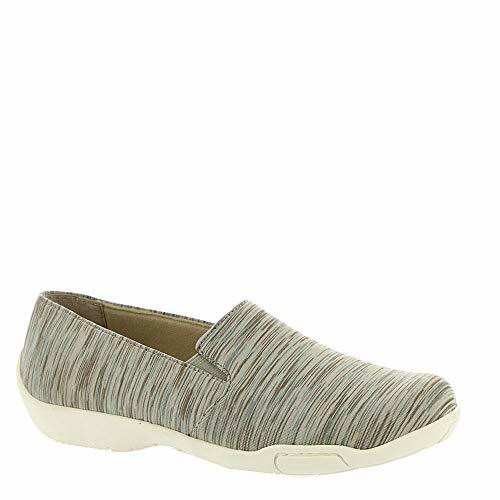 This women's slip-on features a timeless silhouette with a leather upper; a covered heel combines stability with flattering lift. The leather lining molds to the foot for a personalized fit and feel. The Ros Hommerson Janet slip-on pump is finished with a leather sole for a secure foundation wherever the day takes you. 2 1/2'' heel. Material: Leather. 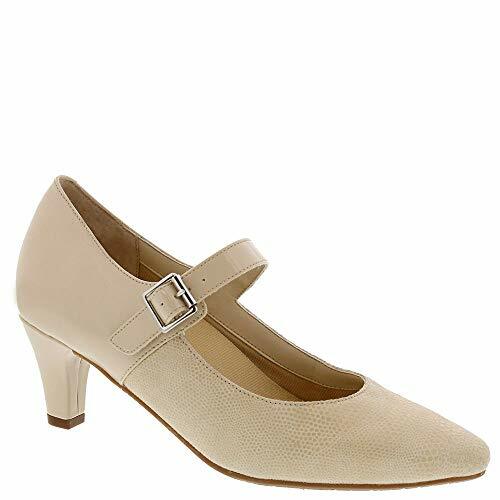 Embrace a look of professional confidence in the Ros Hommerson Halo pump. 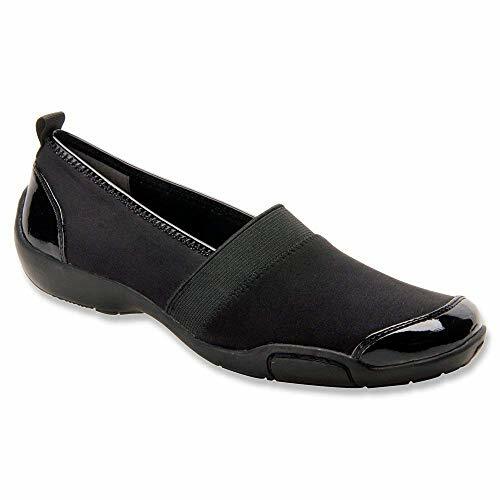 This women's slip-on features a timeless silhouette with a leather upper; a covered heel combines stability with flattering lift. The leather lining molds to the foot for a personalized fit and feel. The Ros Hommerson Halo slip-on pump is finished with a flexible, non-slip rubber sole for a secure foundation wherever the day takes you. Premium Quality Leather. Leather Linings. Foam Padded in Forepart. Durable, Long-lasting Rubber Outsole. 2" Heel Height. The Ros Hommerson Calypso 62047 - Take on the day in style with the Ros Hommersonâ" Calypso casual with rope laces. This super comfy casual has stretch gore under the tongue making it easy to slip on and off without tying! The Ros Hommerson Bonnie bootie features burnished leather and soft, suede slouch top, adding a bit of attitude. The Bonnie sits atop a 2'' rubber sole for durability and flexibility. Drilex ining. Rubber outsole. Pleating detail. Material: Leather. Get heavenly comfort and sophisticated style with the Walking Cradles® Heidi pump. Smooth leather uppers with a pointy toe. Easy slip-on style. Soft and breathable textile linings. Features Tiny Pillows® cushioning on footbed for added comfort. Block, leather-wrapped heel. Durable non-skid, man-made outsole. Imported. Measurements: Heel Height: 1 in Weight: 7 oz Product measurements were taken using size 7.5, width M (B). Please note that measurements may vary by size. 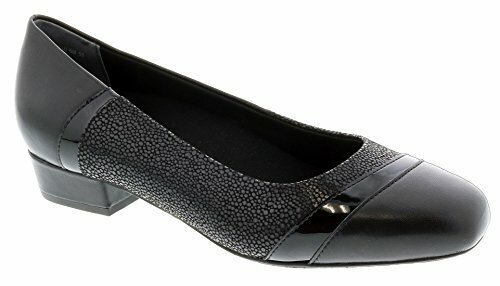 The Ros Hommerson Tango 74033 Woman's Dress Shoe - These comfortable,trendy low heels are designed with an assymetrical patent strip on top and finished with a lizard print leather, for the perfect addition to your modern classic wardrobe. Enjoy your next night out in the Ros Hommerson Pearl. Pearl is a dressy, opened toed sling that features an adjustable heel strap. 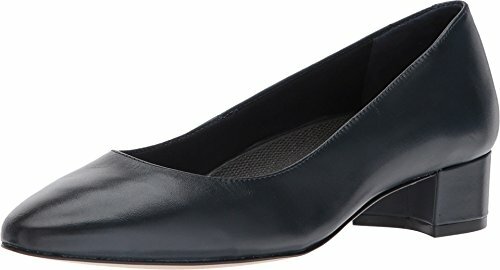 This women's dress pump is crafted with a foam-cushioned footbed and flexible leather sole to keep you comfortable throughout the day. Material: Leather. The Frankie by RH Sport offers all-day performance in a super lightweight shoe. Featuring breathable mesh upper and removable padded footbed provides room for a prescribed orthotic. This fitness shoe has a lightweight, flexible rubber sole and two ways to close! Tie them for a secure fit or zip them on and off! 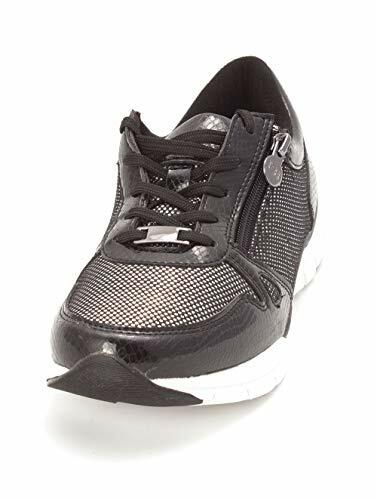 Details: Soft fabric upper with breathable mesh, removable, foam padded footbed, durable, long-lasting rubber outsole, ultra lightweight, lace and zip closure, Drilex lining and 1'' heel height. Ros Hommerson has been in the footwear industry for over 40 years. She came up through the ranks as a designer crafting her unique style with some of the most iconic brands in footwear. As Ros mastered the difficulty in marrying style with comfort and uncompromising fit, she saw that the legacy brands were ignoring a large, meaningful and growing market. Material: Mesh, Rubber, Foam. 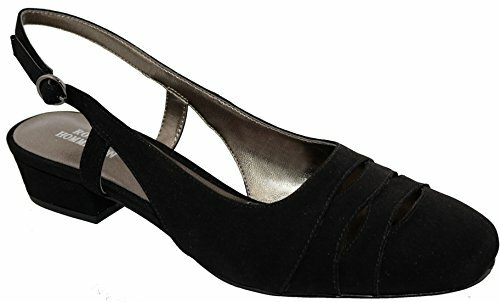 The Ros Hommerson Tempt 74030 - Ros Hommerson's Tempt Slingback puts a playful twist on a sophisticated slingback with a square, capped toe. It the perfect shoe from desk to date night. The Ros Hommerson Tina 74029 - Spruce up your look wearing the Tina by Ros Hommerson. Offering a flattering and feminine fit, laser cut detail and just the right amount of height. The Ros Hommerson Helen shoe is made from the finest fabrics on the market and offers elastic stretch in the upper for a premium fit. 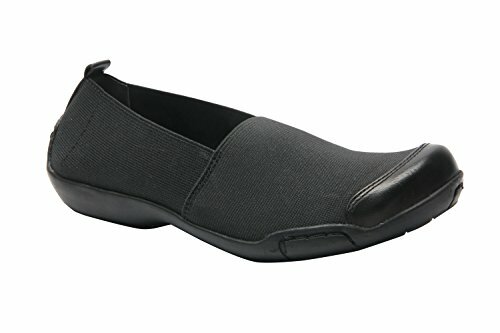 This sleek slip-on offers drilex lining and foam padding in the footbed. Helen by Ros Hommerson is extremely lightweight yet the quality and comfort is unmatched in the industry. Gracefully simple, but with a touch of the unconventional, the Ros Hommerson Regan slip on offers versatility with personality. 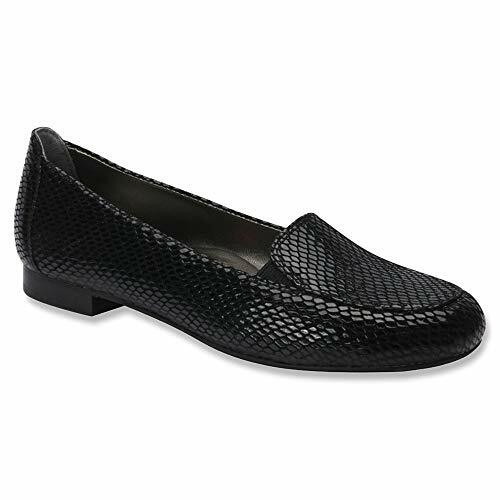 Featuring an upper of reptile-print leather or microfiber with a patent leather apron, this women's loafer is lined in leather for breathable comfort, while a lightly treaded rubber sole provides durable traction. ½'' heel height. The strappy stylish Wynona wedge sandal from Ros Hommerson is a perfect platform wedge for warm-weather weddings, casual cocktails or anything in between. 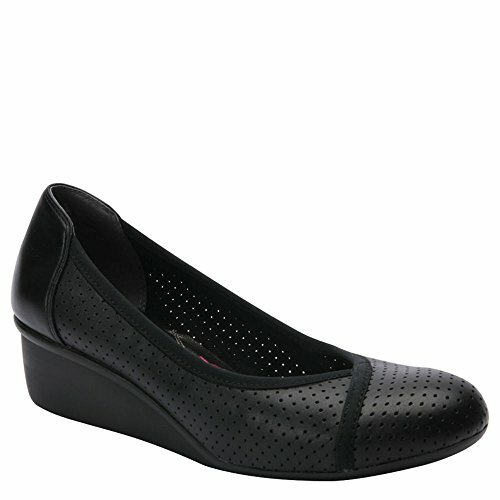 The reasonable two-inch wedge heel adds comfort and height. 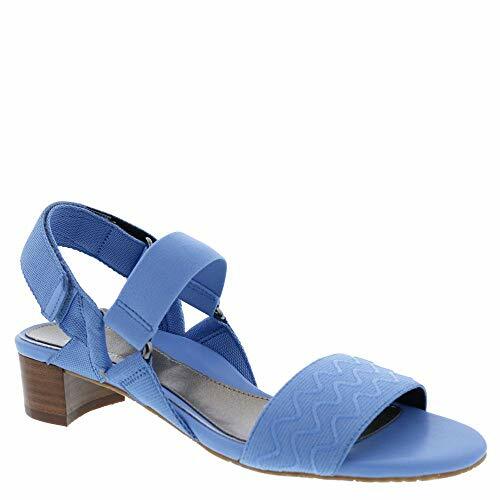 The crisscrossing elastic and leather straps in contrasting patterns keep your shoes secured and add a stylish touch. Details: Premium qualtiy leather, foam padded footbed and durable, long-lasting rubber outsole. Ros Hommerson has been in the footwear industry for over 40 years. She came up through the ranks as a designer crafting her unique style with some of the most iconic brands in footwear. As Ros mastered the difficulty in marrying style with comfort and uncompromising fit, she saw that the legacy brands were ignoring a large, meaningful and growing market. Material: Leather, Rubber, Foam. The Ros Hommerson Camp 62050 - Rethink your style with the light, comfortable and modern look of the Ros Hommerson Camp. 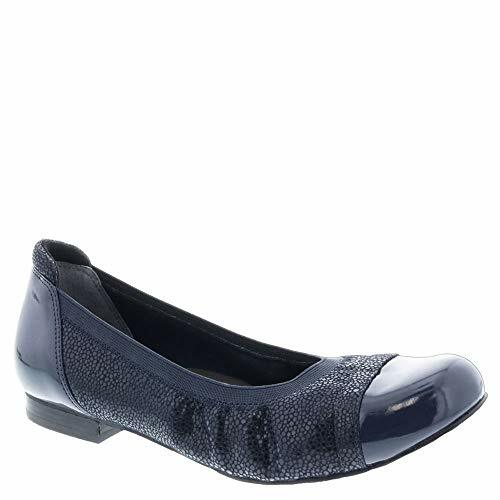 Leather accents complete the look while a foam padded collar reduces heel slippage. Make a confident entrance in the Ros Hommerson Java slingback. 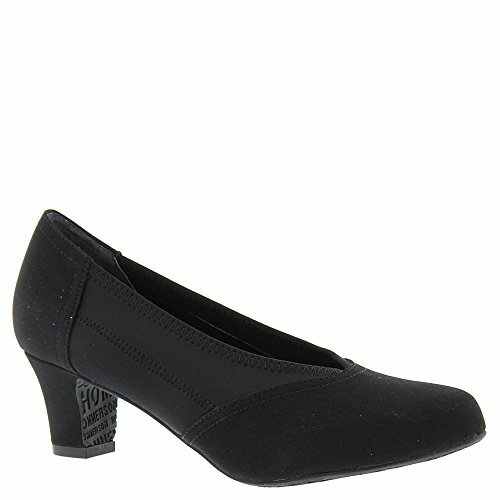 This women's dress pump is crafted with a microtouch fabric or leather upper and leather details. 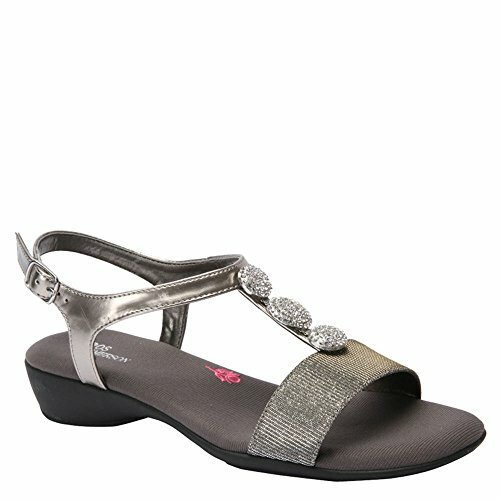 A foam-cushioned footbed lends extended comfort, while an elasticized slingback strap allows a snug, personalized fit. The Ros Hommerson Java pump sits atop a sleek leather sole to carry you with stability and flexibility. 2,5'' heel height. Material: Leather. 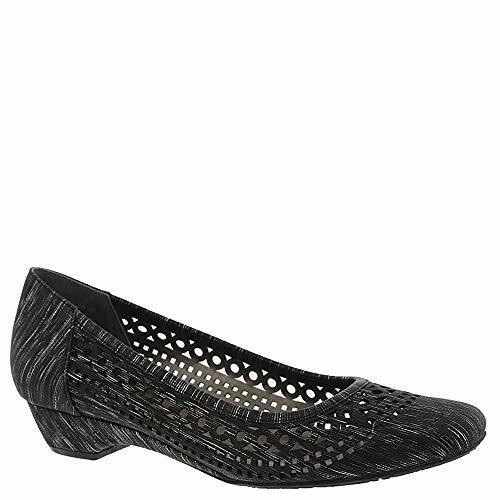 The Ros Hommerson Caruso slip on is crafted with a completely stretchable upper. It's like you're not wearing anything! A Texon Insole eases every step. The Ros Hommerson Caruso slip-on sits atop a rubber sole for flexible durability. 1" Heel. The Evelyn by Ros Hommerson is a contemporary slip-on that gently hugs your feet for sock-like comfort. 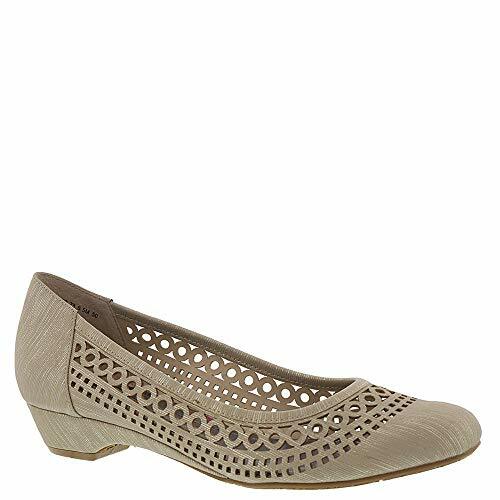 Made from premium quality leathers and padded to the max, the Evelyn by Ros Hommerson will surely be a "go-to" shoe when you're looking for comfort and style to fit your life. 1,5" heel height. The Ros Hommerson Adrian is made of the finest leather, and comes with strech gore to help with a more comfortable fit. 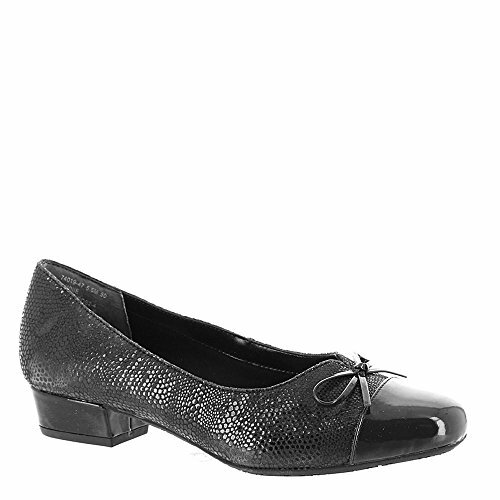 The Adrian heeled shoe features a thin strap across the shoe that adds a bit of style. Walk in comfort on the foam footbed. And the leather lining will keep you feet feeling great all day. The versatile Fly by RH Sport offers all-day performance in a super lightweight shoe. Featuring a leather and breathable mesh upper and removable padded footbed provides room for a prescribed orthotic. 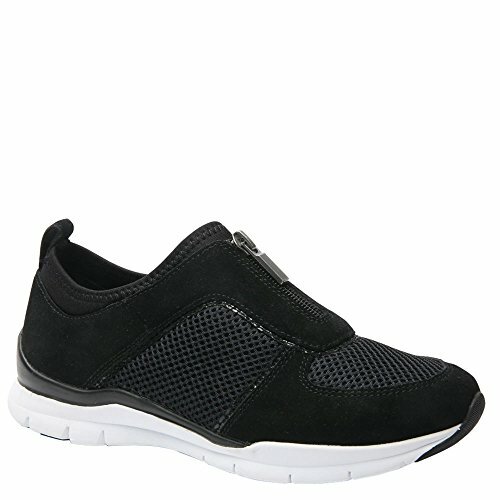 This fitness shoe has a lightweight, flexible rubber sole and the easy zipper closure will keep you light on your feet. Details: Premium quality leather, soft lycra lining, removable, foam-padded footbed, ultra lightweight, flexible rubber outsole, elastic stretch opening and accommodates prescribed orthotics. Ros Hommerson has been in the footwear industry for over 40 years. She came up through the ranks as a designer crafting her unique style with some of the most iconic brands in footwear. As Ros mastered the difficulty in marrying style with comfort and uncompromising fit, she saw that the legacy brands were ignoring a large, meaningful and growing market. Material: Leather, Rubber, Mesh, Foam, Lycra. 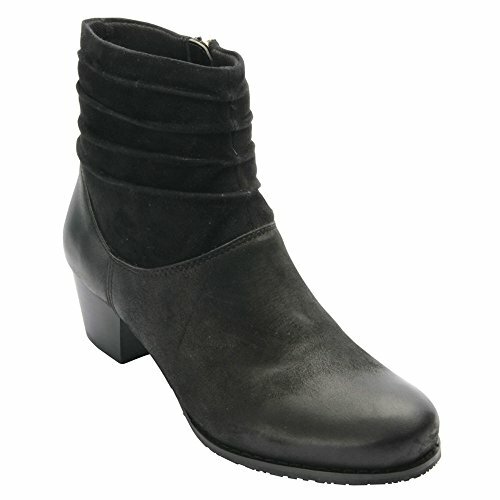 The Melissa by Ros Hommerson offers a perfect blend of style and comfort. The plush footbed and stretch straps wrap around your ankle with a long lasting durable rubber outsole. 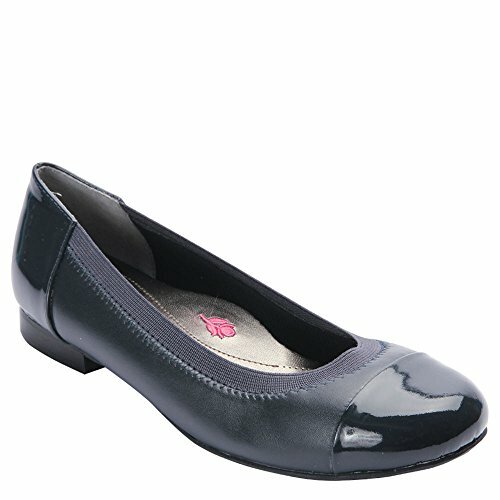 Details: One inch heel height, stretch fabric with soft backing, foam padded footbed and durable, long-lasting rubber outsole. Ros Hommerson has been in the footwear industry for over 40 years. She came up through the ranks as a designer crafting her unique style with some of the most iconic brands in footwear. As Ros mastered the difficulty in marrying style with comfort and uncompromising fit, she saw that the legacy brands were ignoring a large, meaningful and growing market. Material: Rubber, Foam, Man Made. 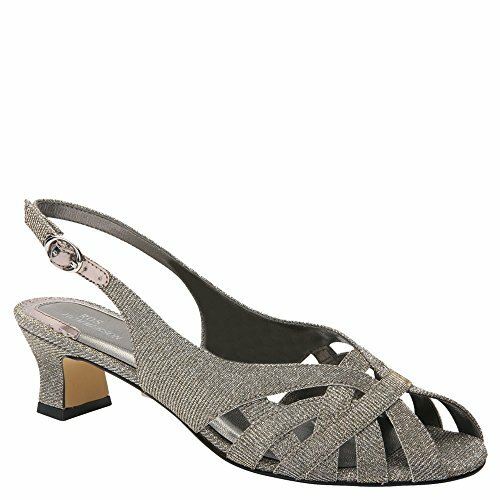 Compare prices on Ros Hommerson Women Shoes at LiveSaler.com – use promo codes and coupons for best offers and deals. We work hard to get you amazing deals and collect all avail hot offers online and represent it in one place for the customers. Now our visitors can leverage benefits of big brands and heavy discounts available for that day and for famous brands. We try to makes comparison shopping easy with Product Reviews, Merchant Ratings, Deal Alerts & Coupons. Find Deals, Compare Prices, Read Reviews & Save Money.